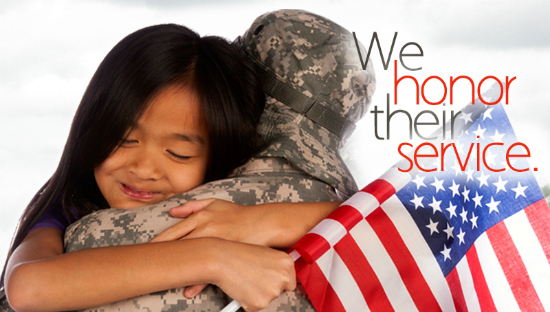 You are here: Home » CLOSED | Honoring Our Veterans – GIVEAWAY and Membership Offer! CLOSED | Honoring Our Veterans – GIVEAWAY and Membership Offer! Veteran’s Day, November 11th, is the day we come together as a nation and celebrate our heroes who’ve sacrificed their time and their lives so that we can live in freedom. Those brave men and women fought for our freedoms and rights as citizens of the United States. Among other things, they fought for our freedom of speech, freedom of religion, and our freedom to homeschool. They keep this nation safe for families to teach their children as they see fit. We’ve truly been blessed by their sacrifice and service. So in HONOR OF VETERANS DAY and the many homeschool parents and graduates who have served in the military, HSLDA will contribute $10 of your membership dues to the Home School Foundation Military Fund if you join or renew for one year online by November 12. And the HSLDA Store is also giving %10 of every order, between November 11-13, to the HSF Military Fund. The HSLDA Store is looking to bless our Military members, and they want to bring attention to the Military Fund that helps our members who serve and have served. So be sure to check out some of our great products in the store! There’s something for everyone. DID YOU KNOW? 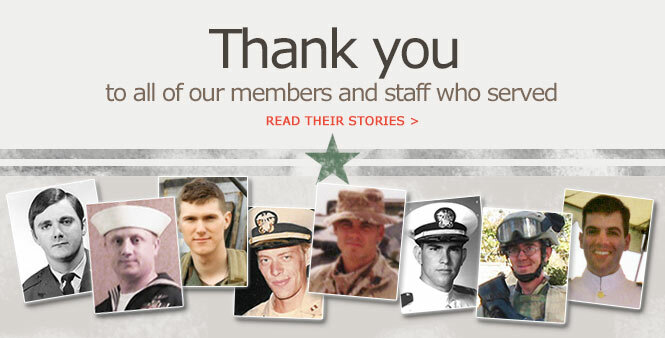 Some of our staff at HSLDA have also served in the military, including our president, Mike Smith? Read all about their stories here. Thank you to all our members and staff who served! Your sacrifice secures our freedoms and we are grateful. If you or someone you love is serving or has served in the U.S. Military, join our Instagram Hall of Honor by uploading a photo with the hashtag #IServed and tag @HSLDA. And guess what? We’re also giving away 5 History America Prints from the HSLDA Store. Photography and graphic design by Charity Klicka (c) 2014. The History American Prints come in standard frame size 36″ x 11-3/4″, and are enjoyed by both girls and boys. 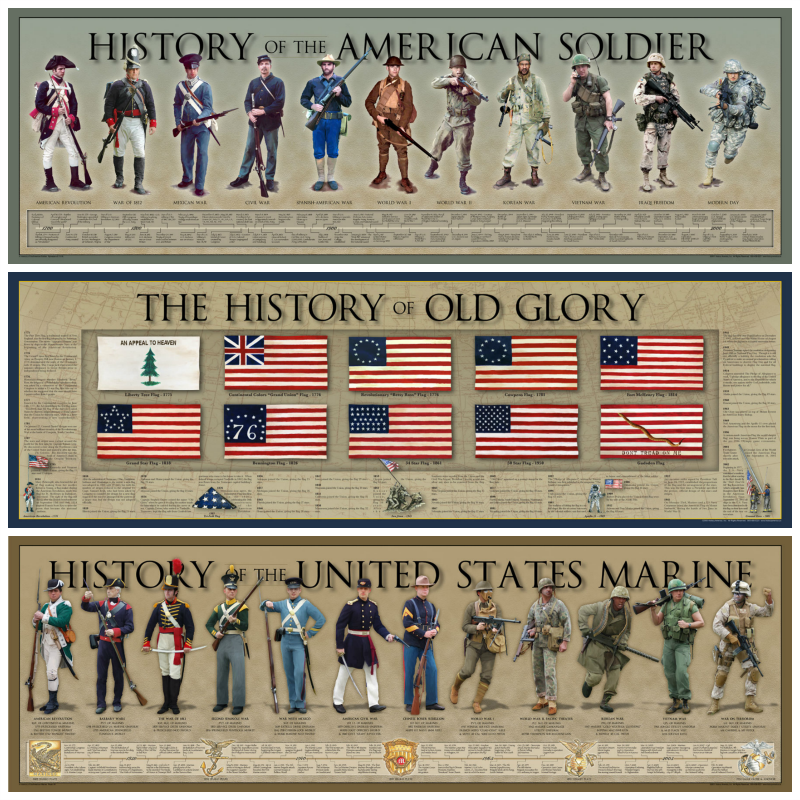 Print options include: American Soldier, American Aviator, United States Marine, American Civil War, and Old Glory. If you are a winner, but already own one of the aforementioned posters, please contact Charity Klicka with the one you already own so that we make sure you don’t get a double. These posters are sold in the HSLDA Store, along with other fantastic resources to encourage your children to learn and have fun at the same time! 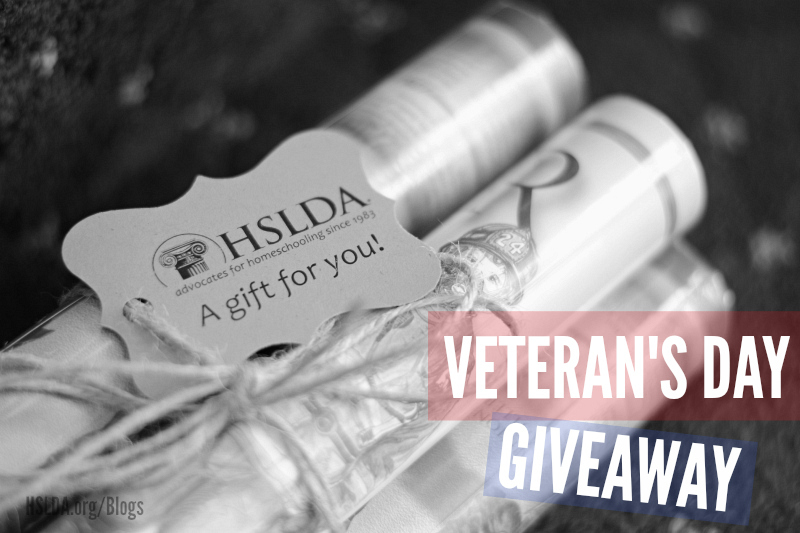 All you have to do to enter the giveaway is to leave a comment below (or email charity@hslda.org) with one or two reasons you’re thankful for our American Heroes! There are also other optional steps to win more entries below. Also, be sure to read the terms and conditions of the giveaway by clicking the Terms and Conditions link on the bottom of the giveaway widget. If you’re looking for fun recipes, crafts, activities, and celebration ideas to celebrate America, check out HSLDA’s Patriotic Celebrations board on Pinterest. Let’s honor and celebrate our Veterans and the sacrifices they’ve made so we can live in freedom! Thank you to everyone who participated in our Veteran’s Day giveaway! It was great to hear about the different reasons you’re thankful for our American Heroes! Congratulations to Susan G, Holly L, Vicki T., Joy, and Rachel V. for winning a copy of one our History America Prints. If you haven’t already recieved an email from us, you should be getting one in the next few hours with all the details of your win. ← Designing an Elective Course || Photography, Anyone?